There is no doubt that Sid Meier’s Civilization strategy games are some of the most additive ever made, with many players having spent hundreds of hours playing each instalment of the series. 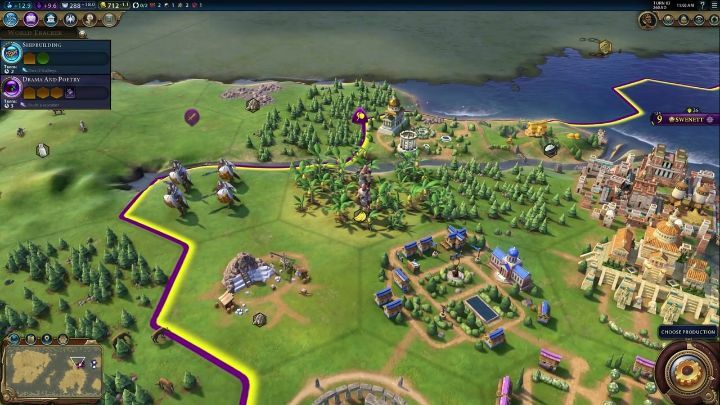 So it is clear that both Civilization fanatics and strategy gamers in general could not contain their excitement when developer Firaxis announced that another Civilization game was headed our way, and that Civilization VI would be hitting the shelves this October. Civilization’s turn-based gameplay involves building cities throughout the map, researching new technologies like pottery in the ancient era and gunpowder in the medieval age, engaging in diplomacy with other Civilizations, or coming to blows with them… And other important part of Civilization’s gameplay has always been developing the land surrounding your cities, by creating worker units to improve the surrounding land by building farms, cottages and roads, for instance. This lead to a problem in past games though, as in the end game players would have a ton of idle worker units, plus the fact that building improvements on land took several turns of waiting made this aspect of the game not that much fun for some. But thankfully Firaxis is looking to solve this problem in Civilization VI with the new “builder” units, which are an improved version of Civilization V’s workers. Firaxis has released a preview video explaining how builders are used in the game, with the key points being the builders can create improvements like farms instantaneously, but they disappear from the map once they have done the job. This is thankfully something that will reduce micromanagement in the late game, and also put an end to that tedious waiting when building a mine for instance, hopefully making Civilization VI a more entertaining game to play. The team behind the game have also shown other features of this new Civilization instalment in earlier preview videos, like how the game unstacks cities to add depth to its strategy gameplay and also the game’s rosters of leaders which includes the likes of Queen Victoria of England. And it would certainly be a great thing is this upcoming Civilization game would live up to its predecessors and turned out to be a great strategy game when it hits the shelves this October.